On Sale Now! 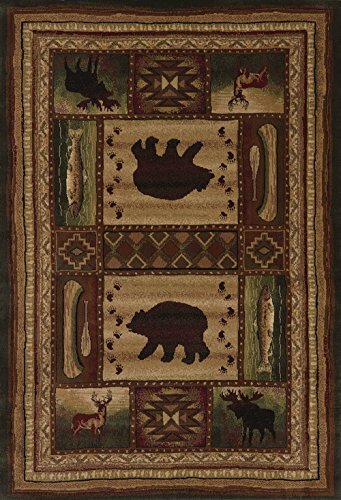 Save 3% on the United Weavers of America Designer Contours Collection Bear Wilderness Rug, 7' 10'' by 10' 6'', Toffee by United Weavers of America at Silence Is Sedition. MPN: 809014226099. Hurry! Limited time offer. Offer valid only while supplies last. Our designer contours collection offers the hottest licensed, theme designs in rich and colorful hues. Hand carved details adds depth and character. Our designer contours collection offers the hottest licensed, theme designs in rich and colorful hues. Hand carved details adds depth and character. Each olefin yarn is twisted and heat set creating long lasting color and durability. Indulge in quality; your feet will thank you. Manufacturer: United Weavers of America, Inc. Publisher: United Weavers of America, Inc. Studio: United Weavers of America, Inc.